In honor of the first annual National Day of Making, Fish Fry is headed into the delight-filled world of Maker Faires, microcontrollers, and watercolor painting robots. Andreas Eieland (Atmel) starts off the excitement by giving us a tour of Atmel’s Tech on Tour 18 wheeler. Andreas and I also discuss the disconnect between the growing number of IoT devices and the declining number of engineers in the world, and how Maker Faires can be instrumental in filling this void. 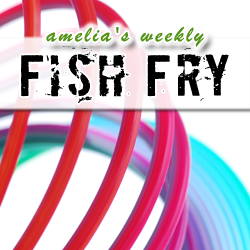 Also this week, Fish Fry is proud to welcome the one and only Super Awesome Sylvia. Sylvia has her own web TV show, is a maker extraordinare, and is a trending tech celebrity. Did I also mention she’s 12? Join me as I chat with Sylvia about one of her latest projects…a watercolor painting robot.